Jodi Rhoden joins us as we explore the rich history and practical application of the simple but powerfully creative tool of Tarot. Often our hearts and souls know what our minds do not. Tarot is a centuries-old technology that helps our hearts and souls communicate to our minds, using mythical and archetypal images to allow us to access deep reflection towards actionable insight. Jodi Rhoden has utilized tarot as a meditative and creative practice since she was first introduced to it in a Waffle House in Georgia at the age of 14, and she now uses it to guide her practice as a writer. Please join us as we explore the rich history and practical application of this simple but powerful creative tool. 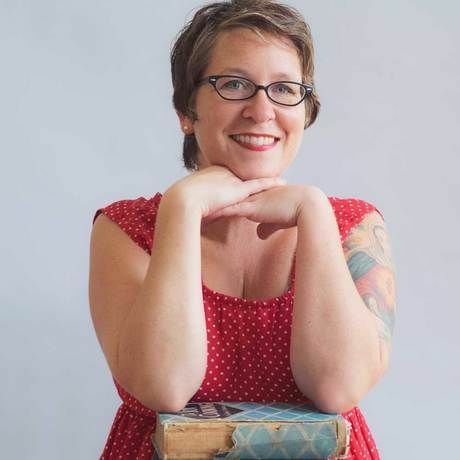 Jodi Rhoden is a writer, baker, and entrepreneur in West Asheville, North Carolina, where she lives with her husband, Duncan, and their son, Jasper. Jodi is the founder and former owner of Short Street Cakes in West Asheville, and she uses her 10 years of small-scale business experience to mentor entrepreneurs through Birds Eye Business Planning and Adventures and Mountain Bizworks. Jodi has also been a lifelong advocate for sustainable food, working in the arenas of community gardening, food and farming businesses, and community food security towards a more just and generous food system. Jodi is the author of Cake Ladies: Celebrating a Southern Tradition, and is currently writing a memoir about her life in cake.